As an independent full service PA insurance agencyour duty is to our clients not the insurance companies. As your insurance agents, it is our responsibility to provide YOU the best service and the best coverage, at the best possible price. We offer competitive insurance programs for all your needs. 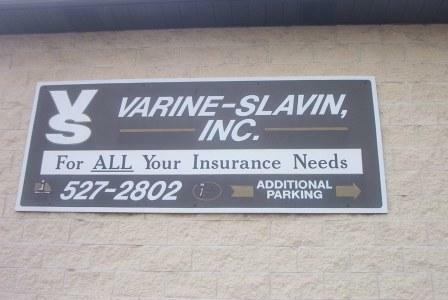 We know you expect the best value without sacrificing personalized service and that’s what we do at Varine-Slavin Inc.
We combine the state of the art computer systems and Old School Service. It allows us to provide rate comparisons among PA’s finest insurance companies. We start by evaluating your specific needs and finding the company that will give you the best insurance value for your dollar. We bring it all together with easy, affordable payment plans to suit your budget. As our client, we provide you with quality customer service, periodic reviews of your insurance coverage’s and premiums, and assistance with reporting claims. The insurance information and analytical tools like calculators on our site is to educate you about the whole range of insurance products and coverages. It is by no means complete or exaustive. Please do not hesitate to contact us with your questions. There is no obligation. There will be no hard sell either. Just fill in the contact form and our agent will get in touch with you ready to answer all your questions. Call us at 724-527-2802 and get an instant quote over the phone from one of our friendly representatives. We always prefer to take our time to talk to you personally. This is our responsibility to you, and if we are going to be your agent, we should do the work. Quick Quote Request – Simply select the appropriate form from the Free Quotes menu or From any of the section menues, fill in the requested information and get your quick quote from many of PA's best insurance companies.